It’s that time of year again. The greenery around Ardanaiseig is punctuated with the red and orange of rowan berries and crab apples, and we think it’s a perfect excuse to go foraging. What’s more, crab apples are high in pectin, a naturally occurring substance that, when combined with sugar and heated, helps thicken jams and jellies. Of course you can buy pectin too, but where’s the fun in that? 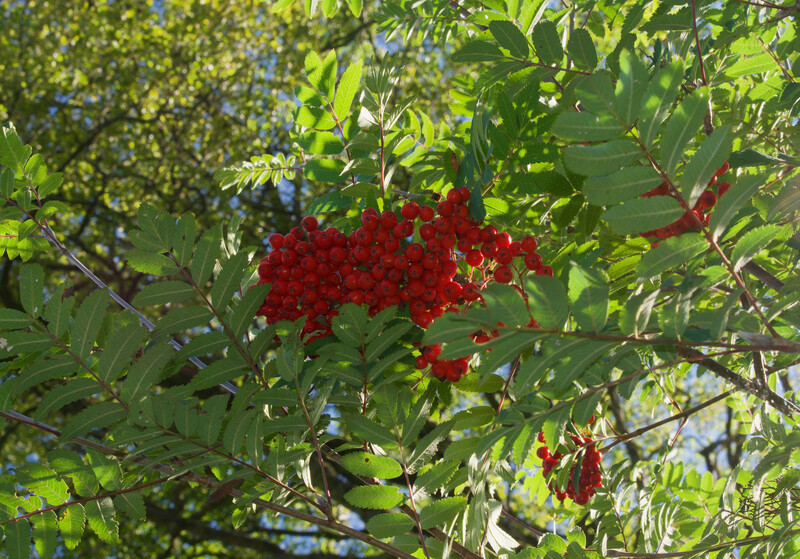 Rowan berries are high in vitamins A and C and, when turned into jelly, make a great companion to a Sunday roast, or a tasty cheese plate. Remove all stalks and wash the fruit. Roughly chop the crab apples. Pop all the fruit into a large, heavy-bottomed pan. Pour in enough water so it comes halfway up the fruit. Bring to the boil, and then reduce the heat. Let it simmer, stirring occasionally until the fruit is mushy. Now comes the fun part. Take your muslin or jelly bag and suspend it over a large bowl. Gently pour the fruit mixture into it. If you want a clear jelly, tie it up and leave it overnight to drip. Otherwise, you can simply squeeze the bag and extract the juice. Next, measure the amount of juice you’ve made, before adding it to a pan. Add 750g of sugar for each litre of juice. Stir gently over a low heat. Once the sugar has dissolved, turn the heat up until the mixture begins to boil. Let it bubble away for about 10 minutes, using a spoon to scrape off any foamy scum that appears. You can tell when the mixture is ready to set by measuring it with a sugar thermometer – 106C is the magic number. But if you don’t have one of those, chill a metal spoon in the freezer, take it out and drop some of the mixture into it. Put it in the fridge for a few minutes and if it wrinkles when you touch it, it’s reached its setting temperature. If it doesn’t, simply boil the mixture for a few more minutes and try again. Once your mixture has reached setting point, take the pan off the heat. Pour the mixture into warm, sterilized jars, seal, and enjoy! 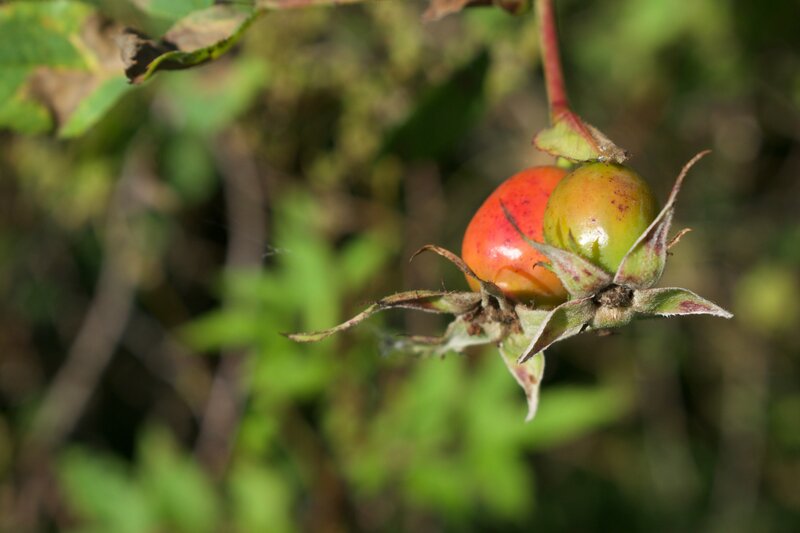 Crab apples are also an ingredient in hedgerow jelly, which is made of autumn fruits such as black berries, elderberries, damsons, haws, sloes, wild plums, and rosehips. For hedgerow jelly, use an equal weight of either crab apples or cooking apples, alongside 500g of sugar per 600ml juice. Let us know how you get on! Do you have any tips or tricks for making rowan and crab apple jelly (or any other kind for that matter)? What other delights have you made from foraging? Of course when picking any wild berry, it’s important to be sure you’ve identified it correctly. 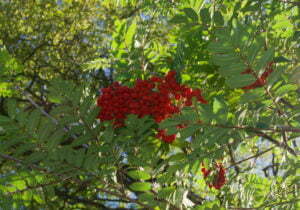 You can find information on identifying rowan berries here and crab apples here.